source for early stage capital. 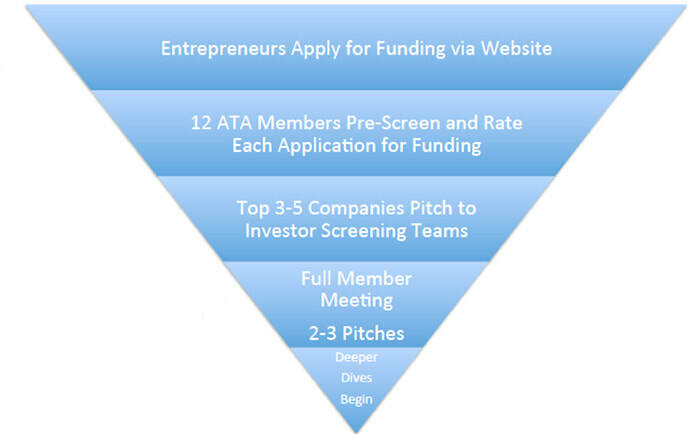 which our Members typically invest, a bit about our monthly screening processes and how you can ​apply for funding with the ATA. We invest in technology-oriented businesses with the potential to scale rapidly and with capital efficiency. Based in the Southeast. Better: Georgia or within a short drive of Atlanta. Prototype complete or near-complete at a minimum. Better: Beta stage with pilots or paid pilots. Best: Fully-developed product with initial revenue and demonstrated customer interest. We are interested in companies in any industry that leverage technology to create disruption. For medical device and biotech companies, we prefer products and services with a clear regulatory path. We generally do not invest in pharmaceuticals. ATA screening committees meet regularly to evaluate applications. Our application process is designed to greatly simplify the coordination of deal evaluation within our group. Be assured that your information will be kept confidential. Please submit a pre-screening application below! "When Mowgli was raising it's seed round, the ATA came in swiftly to fill it out and then some. A few of the ATA members have been some of our most active and supportive investors. We've since taken on Series A funding from a strategic partner, but based on our experience we continue to recommend the ATA to entrepreneurs looking for angel funding." 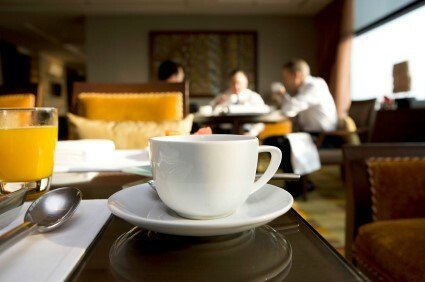 ​All companies are initially pre-screened by our members before they are selected to present to a screening committee. If you are selected to present, you should be prepared for a 10-15 minute overview presentation and a 10-15 minute Q & A session. Companies that are selected (considered to be “due diligence ready”), will be notified and scheduled to present at a monthly member meeting. If the group has sufficient interest in pursuing your opportunity, you will be assigned a “deal lead” who will shepherd you through due diligence and investment process. The interested members will form an LLC which will be the entity that invests in your company. That will simplify the process for you, as you will have a single entity (the LLC) to deal with rather than multiple individual investors. Neither ATA nor its members pay finders fees or any similar fees to any person or entity in any way connected with investments made by its members; only members may process investment opportunities. We also do not charge companies for making presentations to members of the group.